If you ask any member of Wild Flag, the reason why they formed in the first place was to have a little fun and play some loud rock'n'roll. And so on their first trip to Toronto, expectations were given that the four-piece "supergroup" of Carrie Brownstein and Janet Weiss (both formerly of Sleater-Kinney), Mary Timony (Helium) and Rebecca Cole (the Minders) would knock some socks off. From the opening notes of Timony's "Black Tiles," Wild Flag began a one-hour-plus set full of acrobatic behaviour, conscious rock posturing and all-out fun. The body language for each of them read of pure elation, acting like the performance was even more for their enjoyment than ours. As on their recent self-titled album, Timony and Brownstein tag-teamed on vocals, switching after every other song. Live, this dichotomy better illustrated how different they are both as frontwomen and songwriters. But together, they brought a welcome ebb and flow that helped the set's pace keep its momentum without burning out or dragging on. 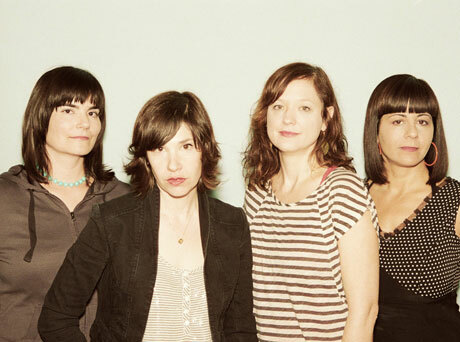 Brownstein's more immediate cuts like "Romance" and "Future Crimes" brought out the feverish punk of her Sleater-Kinney days, while Timony's slower, focused approach did yield to a newfound discovery of her inner rock'n'roll star. In fact, Timony seemed possessed by comparison to her prior days of performing as Helium and a solo act, as she came completely out from the shell she often hid behind. Between the two of them, Brownstein and Timony rarely stopped pogoing, scissor-kicking the air, windmilling guitars or bouncing into one another during solos. Not to be outdone in the background, Cole was fizzy, to say the least, bouncing on her vintage organ like a trampoline, while the diligent Weiss proved once again why she's one of the best rock'n'roll drummers alive. Of course, two lengthy jam sessions off of "Glass Tambourine" and "Racehorse" seemed a bit much, as they trailed off a bit too far from the source material. But you can hardly blame a new band for extending a couple of songs to fill a set. All was forgiven when they returned for a two-song encore. Brownstein tore into a blistering cover of the Misfits' "She," while Timony showed her moves like Jagger, when she knocked out the Rolling Stones' "Beast of Burden" with full swagger. Consider Toronto's socks knocked off.